Who doesn’t like a little electro-magnetic lovin’ sandwiched in between some lo-fi rock and succulent folk-pop? That’s what Coachella’s all about–genre’s abound for your music exploratory needs… with beer and friends of course. Only eight more days people, can you stand it!? Neon Indian is up next on our countdown of Coachella mustseeables, especially since “Deadbeat Summer” could have been written for the festival itself. 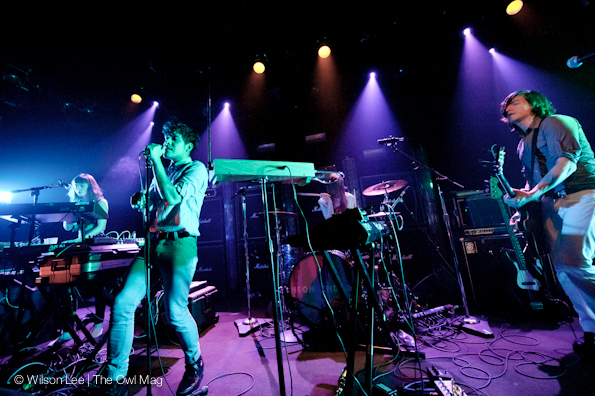 In three years and two albums Neon Indian has perfected the art of chillwave. The band out of Texas released their critically acclaimed sophomore album, Era Extraña in the fall of 2011 and we find that it's still in our heavy rotation due to its feel-good electro vibe. In eight short days we’ll be chillin’ in the desert with some Neon Indian, you should join us for the ride.